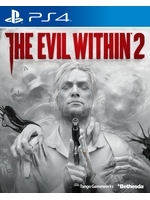 Bethesda has released a free update for The Evil Within 2 which allows players to enable a First Person Mode in the game's option menu. A good way to dive even more into the title's horrific world. Trailer inside. This is a really cool idea! Will be more appealing for people who prefer FPS of TPS. It's also a great way to incentivize a second playthrough in FPS mode. It's a real shame TEW2 and W2:TNC didn't sell well, they both definitely deserved much more sales than they got. plus side is TEW2 can be had for less than £10 and wolfenstein isn't far off either. i sometimes think games like this would probably make more money if they were initially priced lower. that initial mid price point would probably be sustained longer too, thus making more money over a longer period instead of sales being really front loaded (yet still low due to price and content) at £40 and then dropping to £15 after a month. Giantic spoilers in the trailer lol. I like the idea, it may be cool to play in first person mode. still have the first to download. what the hell? forgive shinji mikami. I have never been interested in the game (neither in the first one) but come on.....you put a 1st person mode, and you completely get the FOV wrong? 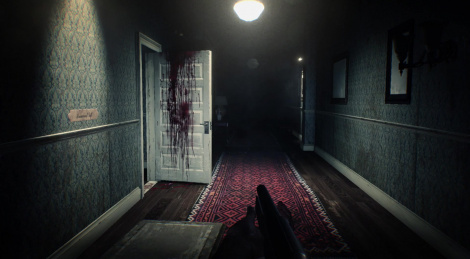 Even if this was an incentive to play the game (I prefer of course 1st person view in general for horrors), the FOV would make me completely lose interest. MODs and FOV sliders very welcome in this case.